The countdown is over - the 2016 Parade of Homes is here! 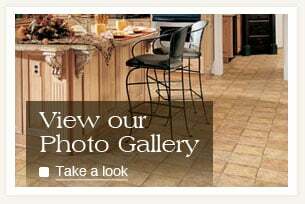 This is great for us because Lake Hallie Cabinets & Design supplies C&E Wurzer Builders with top of the line, high quality, cabinets, countertops, flooring, furniture, and other aspects of interior design. With many different styles to choose from, each cabinet and flooring option has been selected with the utmost care. Color schemes, furniture arrangements, open-concept layouts, and more have all reflect the lifestyles of the families who will be living in these homes after the Parade of Homes is over. Might want to build a home someday. While you might not be ready to build a home now, you may want to build a few years down the road. This is a great opportunity to start gathering ideas and inspiration for the home you’ve always been dreaming about. Plans to remodel their home. If you love your current home and neighborhood, there’s no sense in leaving, right? You don’t need to build a new home in order to have the home of your dreams. It might simply be time to remodel or design a new kitchen or bathroom. You could also incorporate an open-concept floor plan in your current home. The Parade of Homes will give you an idea as to what remodeling and design trends are out there now! Wants to buy a home soon. So maybe you’re not ready to dive right into the process of building a custom home. That’s okay! Again, the Parade of Homes is perfect for those who are thinking about their next home or their next move. When going to house showings in the future, you can keep Parade Homes in mind so you know what you want and don’t want in your home purchase. You can purchase tickets at the door of any of Parade Home for $10. We can’t wait to see you there! If you have any questions, contact Lake Hallie Cabinets & Design!